Come on, how is this possible? The newest AP Poll has the Duke Blue Devils ranked No. 2 in the country and the Tennessee Volunteers with the No. 1 spot. And while the two teams' records might support these new rankings, in reality is there any ​reason not to think that Duke is the best team in college basketball this year? No, there is not. NEW Power 36 from @TheAndyKatz! ​Duke has always been a good basketball school, but this year they took it to another level. 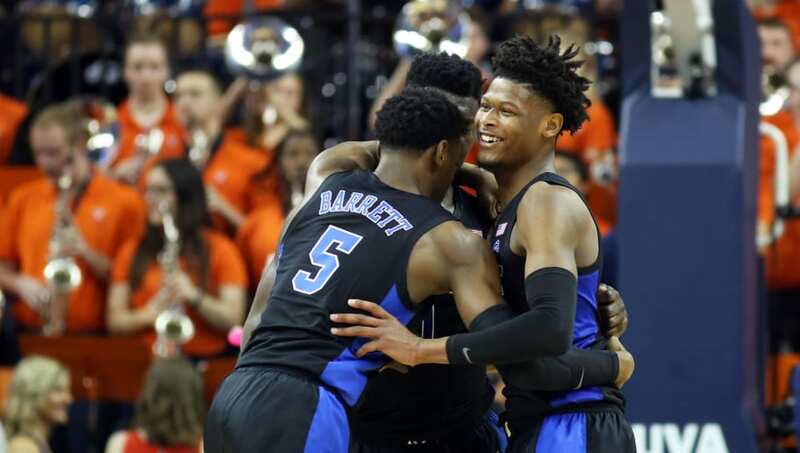 They not only have Zion Williamson, who is considered a generational talent and a consensus number one pick in the upcoming NBA Draft, but Duke also boasts R.J. Barrett and Cam Reddish, who are also expected to be two of the next three picks after Zion in the draft. A power trio like this is something usually only seen in the NBA, but Duke brought it to the collegiate level this year. Duke's big three has also allowed the team to truly dominate over some of the other college basketball powerhouses. Blowout wins over other college basketball dominators like Kentucky strengthens Duke's argument as the best. 1. Duke beat Kentucky by 34. 2. Duke over Virginia on the road, controlled the entire game. 3. Duke over Virginia without Tre.